For the longest time I couldn’t figure out why it was doing this. One night it annoyed me enough that I went digging for the cause and found this link on how to disable devices from waking the system up. 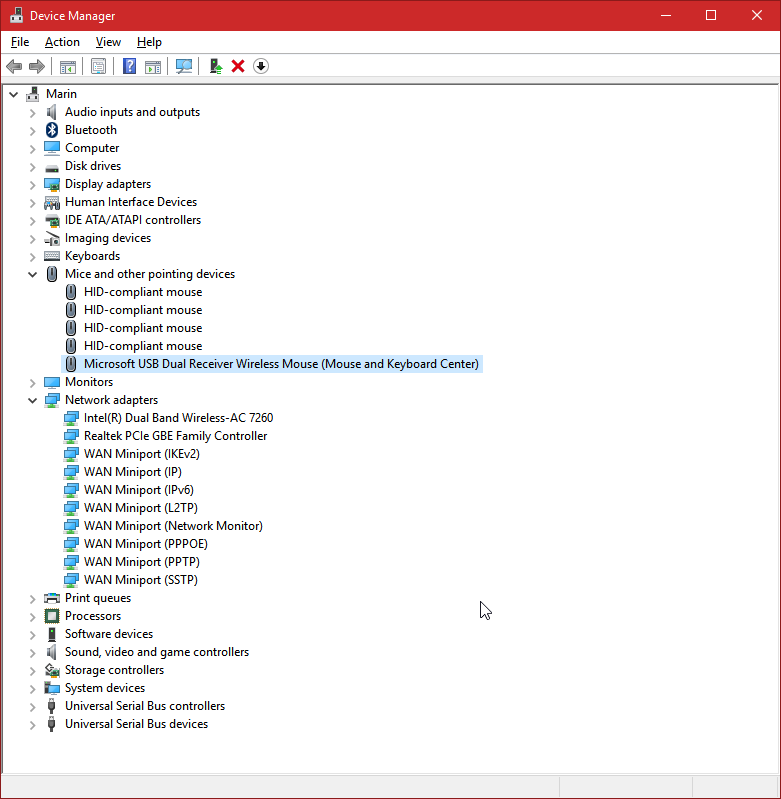 Under “Mice and other pointing devices” disabled all the HID devices except for “Microsoft USB Dual Receiver Wireless Mouse”. Both the keyboard and the mouse use the same receiver and I wasn’t sure if disabling it would also disable the keyboard. The article itself warns about being unable to wake the system up if you disable all devices. Now, I previously had already disabled waking abilities on all network adapters but for some reason they always get re-enabled after a Windows 10 update. Worth double-checking after any and all updates. As a bit extra, I noticed Spotify would wake the system up from sleep as soon as my phone connected to the local wifi network. Not sure why the Spotify developers think their application is important enough to warrant this, but the problem does go away once you disable waking abilities on network adapters.